Tom will play a key role in supporting Propylon's growth and strategy direction. Propylon® is delighted to announce the appointment of Tom Spengler to its board of directors. 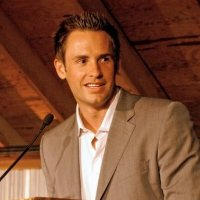 Tom was the co-founder and CEO of Granicus for 16 years, where he was responsible for driving product innovation and growth strategies, the success of which led to several distinguished awards and it being ranked one of the fastest growing private companies in America on INC magazine’s 2009 Inc 500 list. Tom successfully led the company through growth towards its eventual acquisition in 2014. “It is an honor to welcome Tom onto the board of the company to support our growth and strategy direction. Tom’s experience in innovating solutions for the government sector, his passion for government transparency and efficiency, and his very successful career growing a technology organization are a perfect match for us. We believe Tom will be instrumental in driving the business forward," said Propylon CEO John Harrington. Tom is passionate about changing the way citizens interact with government and has authored two white papers discussing the ways technology is being used to transform government. The first one is about government transparency and the second one covers the increasingly pressing topic of governing in the Cloud. Furthermore, Tom supports transparency at the grassroots level by working closely with clients and citizens to advance transparency initiatives. In addition, he is a certified teacher for the International Institute of Municipal Clerks (IIMCC) and previously served as member of the MCEF Board of Directors, which supports scholarships and education for municipal clerks. Prior to co-founding Granicus, Tom was a member of the premier Internet development group, Anderson Consulting (now Accenture), and performed Internet strategy and development work for various companies including, E-Trade and the United States Post Office. He is also a board member of Ascendify, a Cloud-based software platform focused on giving companies a way to recruit and organize potential hires. We’re excited to have Tom joining us at a time when Propylon is expanding its offerings to local government level, building on the leading legislative software solutions we have developed for several state governments across the U.S.
Propylon is a market leader in providing software solutions that manage the complexity of legal and regulatory material. With almost 30 years’ experience, Propylon offers deep knowledge and specialized technology to create innovative, end-to-end solutions that meet the needs of its clients.